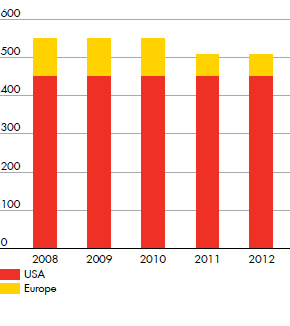 Shell WindEnergy has strong operational and development capabilities, with 10 joint-venture projects: eight in North America and two in Europe (Shell share of total capacity is approximately 50%). The projects’ generating capacity totals about 1,000 megawatts – enough electricity to meet the annual requirements of 300,000 homes. Generating that amount of electricity with conventional power plants would have emitted about 3 million tons of CO2. 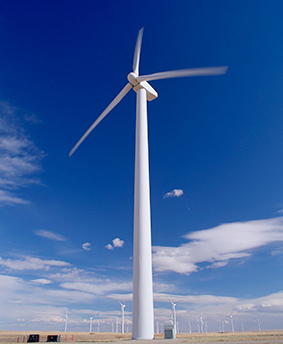 Almost 900 MW of the total capacity came from the 722 wind turbines of the eight US projects.